In a world driven by social media and influencers who show us how we should live, look and feel often feels overwhelming. Beauty trends are all about flawless faces without wrinkles and lately – without any expression. To achieve these new beauty standards people start looking for quick solutions. Botox and fillers are so standard these days (even among young girls) that it has become socially acceptable to correct everything you think is imperfect with knives and needles. Women who are in tune with themselves and their body are hard to find because nobody is teaching us how to accept our bodies and be proud of ourselves. Yes, you can easily get rid of your dark eye circles with fillers or botox and seemingly solve the problem…but what if I told you that those dark eye circles are trying to tell you something? Our faces show us what is going on in our bodies and often we have to change our habits to keep our internal balance and health at its peak. Dark eye-circles can tell you a story about your body, as can other parts of your face based on Chinese medicine and face diagnosis. Besides showing that you lack sleep and hydration, dark eye-circles also point towards your unbalanced kidney energy. You’re not going to solve this problem by taking the easy way out and undergo a series of cosmetic corrections. You’re just ignoring and postponing what is really happening in your body until it will not be able to take it anymore. The truth is that we are much more than our physical body. We are emotional and spiritual beings, and we have to become aware of that. We have to stop looking for quick solutions if we want to take our health, wellbeing and our natural beauty on a whole new level. Only when everything in our body is aligned, we can truly express who we are, and start shining our light – and that’s when we are the most beautiful. We have to start looking at our body as a whole – a beautiful machine of mother nature where everything is flawlessly connected. One move can affect our whole body. This is what happens when you start practicing Face Yoga. When you begin activating your face muscles, you’re taking small steps towards aligning your whole body. It’s rooted in alternative medicine and holistic approaches to your well-being and health. It improves blood circulation in the brain and the glands which help you create hormonal balance. It also raises your energy levels and helps you feel good in your own skin. 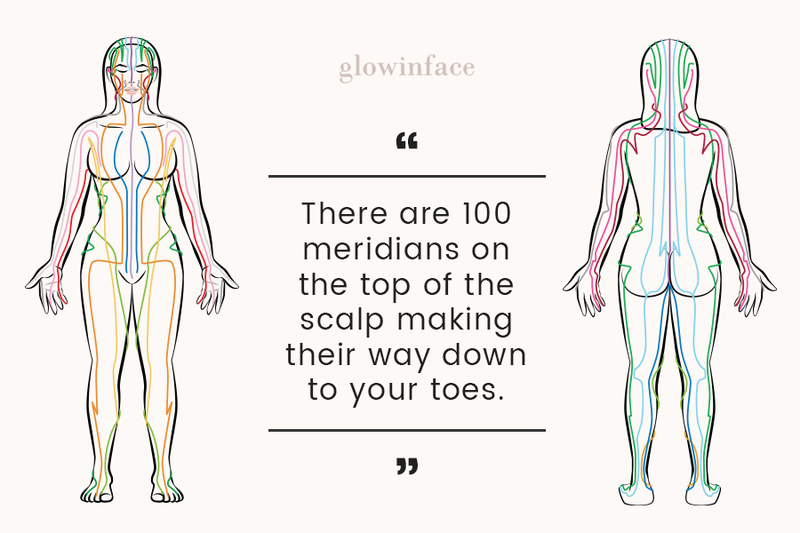 However, there is also a way face exercise can help you get in touch with yourself on the so-called “energetic level.” There are over 100 meridians on the top of the scalp making their way down along the skull and face all the way to your toes. Meridians are paths through which the life-energy, known as “qi,” flows. They connect internal organs to different parts of the body, and that’s why we can see what is happening with our internal organs. We can learn how to study them on the feet (foot reflexology), hands and tongue, but the easiest way to interpret what’s happening inside is on your face. Along the meridians, there are around 670 acupressure points which you can use to create balance in the corresponding internal organs. Acupressure points can also be found on the face, and their stimulation helps to improve both our health and appearance. 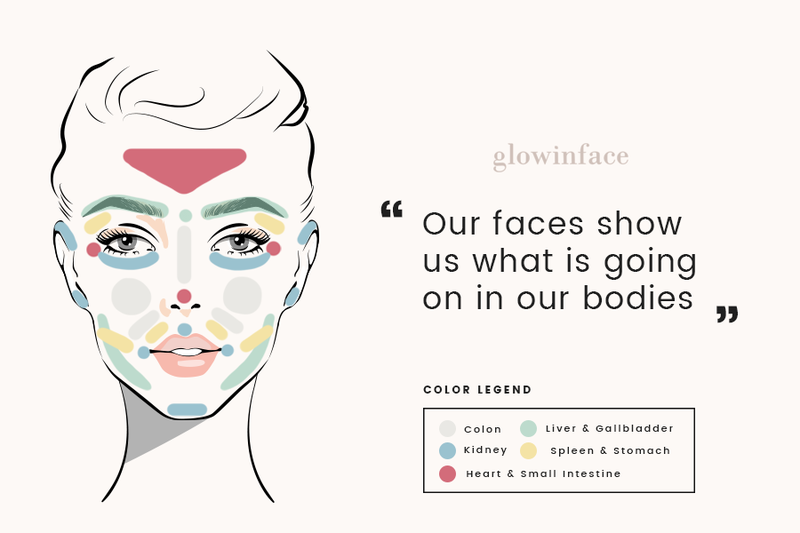 We can use our face as a “tool” to discover what is going on in our bodies on the physical and emotional level. We only need to learn how to read the signs. As you might have guessed, Face Yoga doesn’t only train our facial muscles. By applying pressure with our hands, we are also stimulating the acupressure points, meridians, and internal organs, balancing their energy and function. If we come back to our dark eye circles, we can now see that doing face exercises for that area also activates acupressure points and improve energy flow to the kidneys. It creates balance in the organ at the same time you strengthen the eye muscles in that area. Chinese medicine teaches us this: when everything flows, there is youth and longevity, while stagnation (of energy, blood, lymph) speeds up the aging process. If cells in our body don’t get enough oxygen and nutrients, they can’t perform the way they’re supposed to. So what happens when you inject botox in your face? You numb the muscles and block the flow making your muscles atrophy and sag. 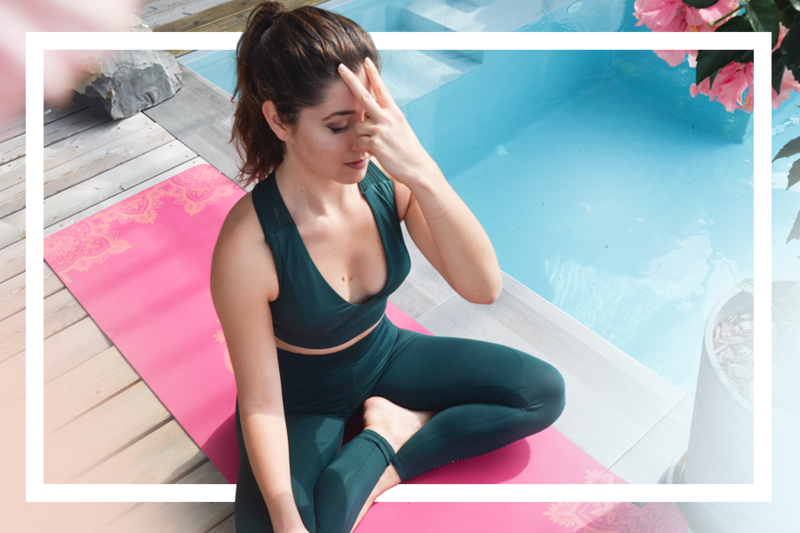 With Face Yoga, we are taking care of our bodies, minds, and spirit. We are creating the flow and enhancing our beauty naturally. By balancing the energy of our internal organs and hormones, we create a harmony that shines from the inside out. Face yoga empowers us to align with our true self and reenergize from being our true authentic selves. That’s why I consider it a Holistic workout. In the end, it’s not really about “being in shape” or “looking pretty.” It’s about being fully empowered and genuinely aligned with our true selves, which is the real beauty reflecting on our glowing faces. Previous Post What exactly is face yoga and where did it come from?